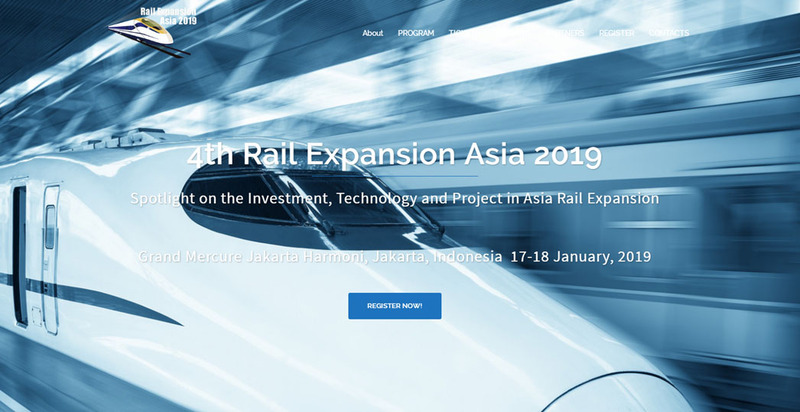 It is my greatest pleasure, on behalf of the Organizing Committee to welcome you to attend the 4th Rail Expansion Asia 2019, which will be held on Jan. 17-18, 2018, in Jakarta, Indonesia. It is forecasted that in coming 20 years the Demand of Rail transportation in Asia and Asia pacific region is expected to double. In order to meet this demand the major stake holders especially rail and metro operators have solve the internal and external challenges, especially improve the financial and operational efficiency so that they can maximize the utilization of available resources for the future expansion. The Jakarta-Bandung high-speed railway project, a joint effort between China and Indonesia and the first of its kind in South-east Asia, is ready for construction. Issues related to the project's licensing and financing have been gradually resolved and land acquisition work has made breakthroughs. CRC, the world's largest railway operator, said that the design of the 142km rail line, connecting the Indonesian capital Jakarta with West Java's capital Bandung, is based on China's railway technological standards - which are safe, reliable, advanced and long-tested - and take full consideration of the local weather and geological conditions, traditions and cultures, as well as lifestyles. We look forward to your participation in 4th Rail Expansion Asia 2019.